Prince William is none too pleased with reports indicating that his wife Kate Middleton is feuding with her supposed rival, the Marchioness of Cholmondeley. Earlier reports indicated that Kate has supposedly been trying to ‘phase out’ her rural rival, Rose Hanbury. Apparently, the two women have had a falling out and now everyone in the Norfolk area can’t help but gossip over what happened between them. Prince William has decided to take matters into his own hands, as the gossip has threatened to “disrupt his domestic tranquility” at home with his wife. According to the Daily Mail, royal commenter Richard Kay has gone on the record to say that the rumors are not only false, but that they have caused some problems behind the scenes for Prince William and Kate Middleton. Rose and her husband David are reportedly close with the Duke and Duchess of Cambridge and were even guests at their royal wedding back in 2011. If that weren’t enough, Kay also made a point to throw a little shade at Kate’s sister-in-law, Meghan Markle. 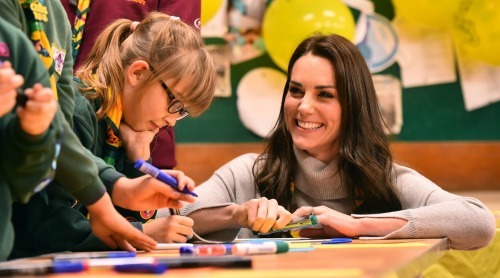 He pointed out that the Duchess of Cambridge, unlike Meghan, is not the kind of person who would have her celebrity friends defend her by talking to high-profile magazines and publications. Kay insists that Kate Middleton has never done anything wrong and that Prince William feels angry that his wife is the subject of such unnecessary gossip. He adds that the Duchess is someone who has always been very discreet about her personal affairs. Prince William himself has not made any comments about the feud reports. In the meantime, don’t forget to check back with CDL for all the latest news and updates on Prince William, Kate Middleton, and the royal family right here.